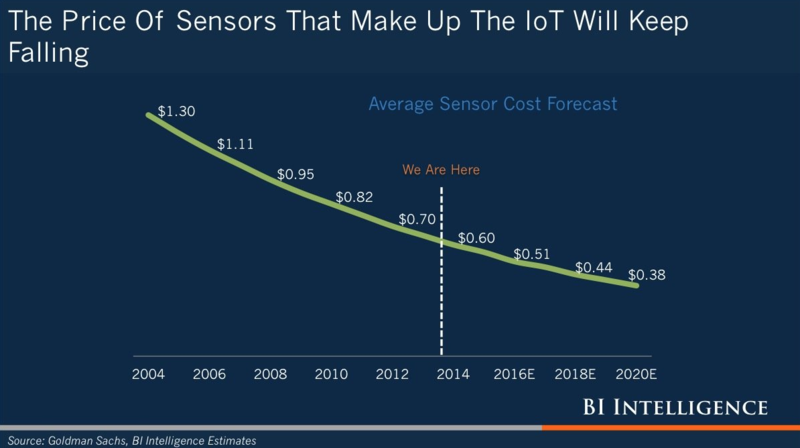 At VINT wrote extensively about the internet of things. 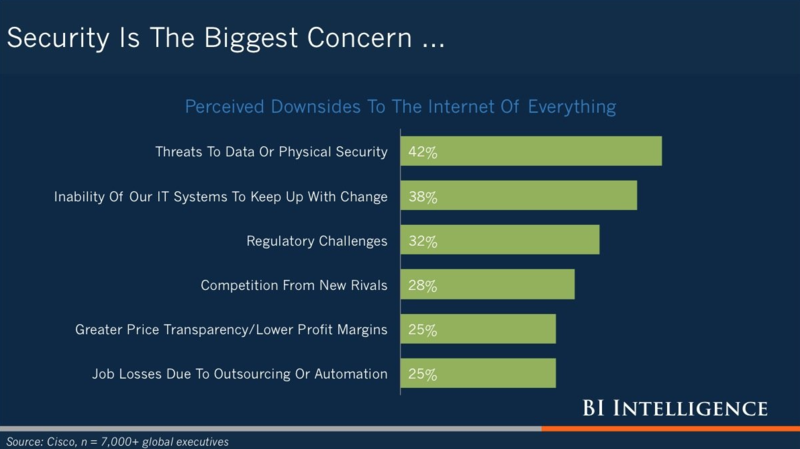 We did four research reports and a lot of blogposts on this topic. 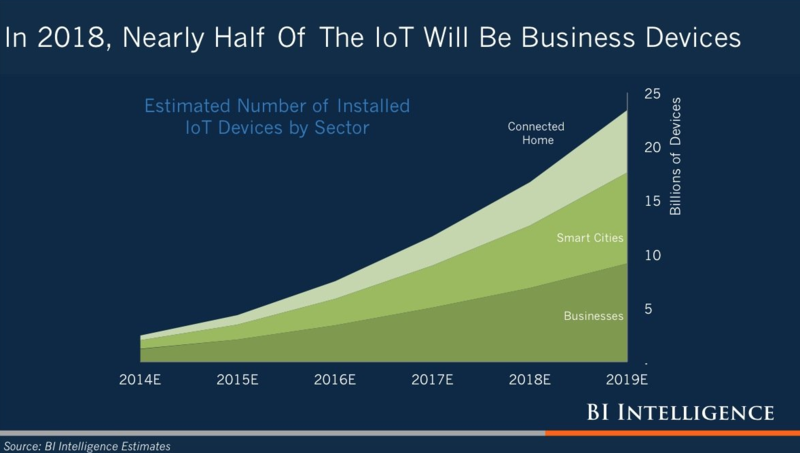 The internet of things is also a numbers game; predictions on data volume, connected devices, estimated revenue etc. 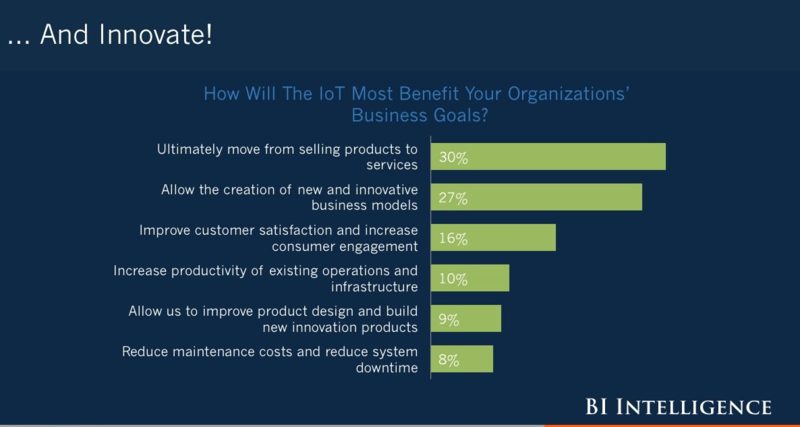 In this post I want to highlight the business potential for IoT. 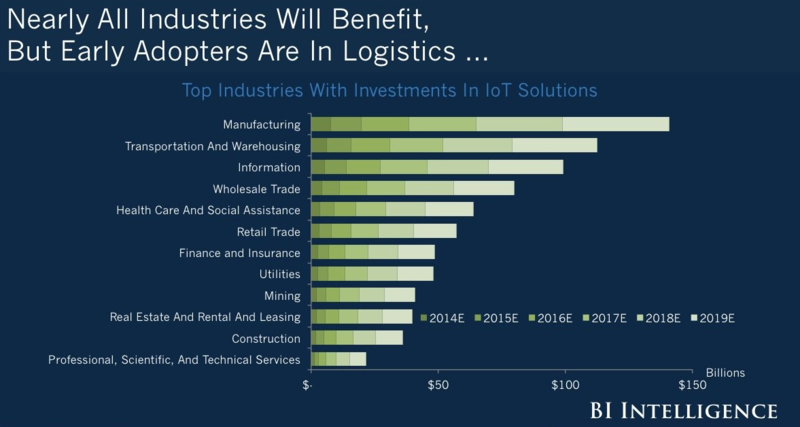 So have a look at these graph with data from Business Intelligence, the research service from Business Insider. 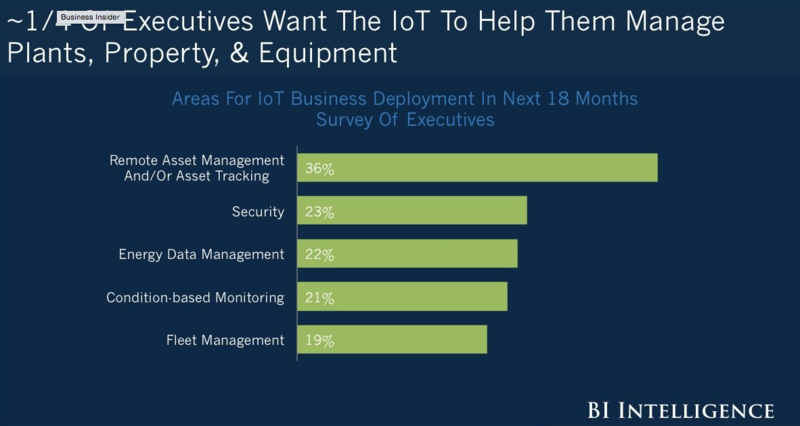 So what’s on the business agenda when it comes to the internet of things? 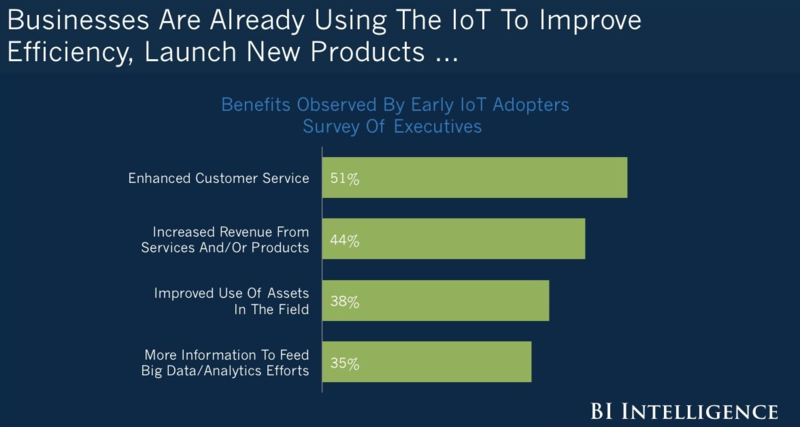 Early adopters show a clear focus on customer services, followed by increasing single product revenue and efficiency optimization. 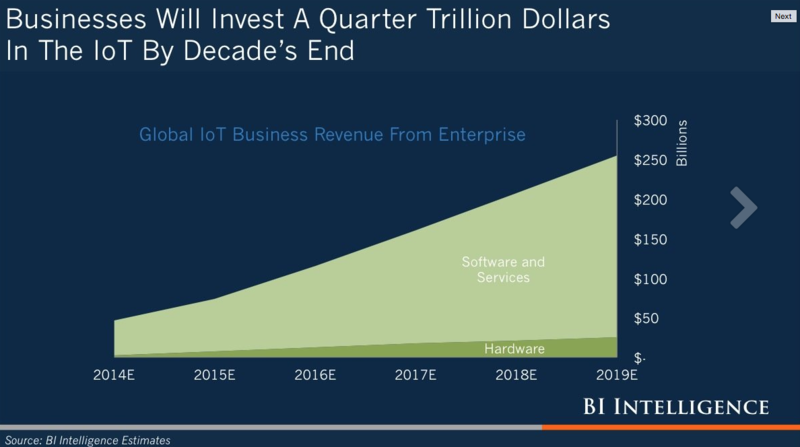 At the end of the decade will have invested near a quarter of trillion dollars in IoT, mostly in software. 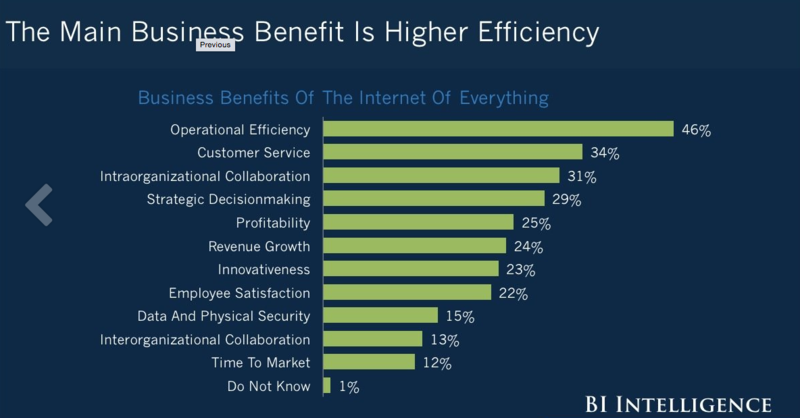 As we argued on our reports as well, efficiency is a main business IoT-enabled benefit.